DAILYKENN.com -- Ignorance seems to be the hallmark of leftism. 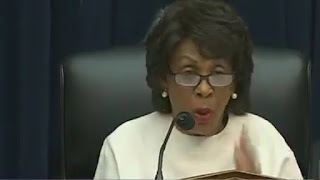 U.S. Congressx Maxine Waters was stumped by her own question when she asked bankers what steps they were taking to assist students burdened with student loans. Waters was appalling ignorant of the fact that the federal government took control of the program in 2010.